Zoey Deutch, Olivia Munn and more. 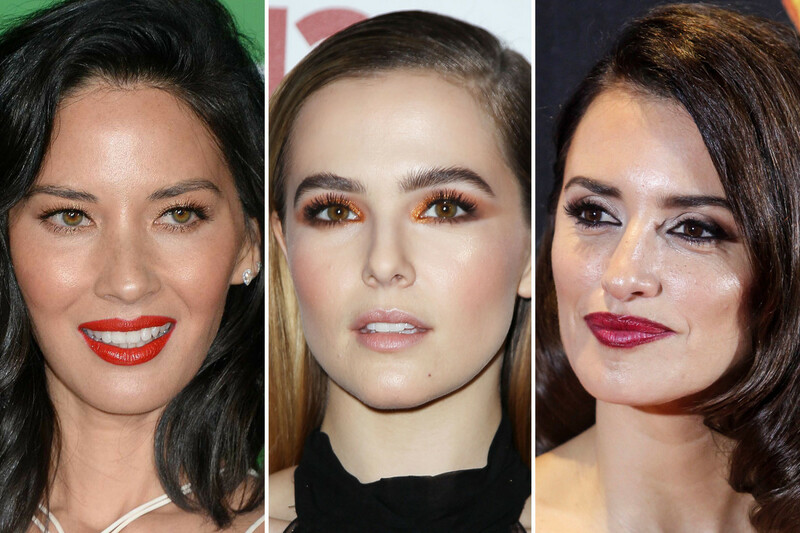 It&apos;s our last red carpet round-up of the year—and these celebs have busted out their most gorgeous hair and sparkly, vibrant makeup. Zoey Deutch at the 2016 New York premiere of &apos;Why Him?" Close-up of Zoey Deutch at the 2016 New York premiere of &apos;Why Him?" What I love: Zoey&apos;s glittery, smoky orange eyeshadow. What a work of art! This tough-to-wear colour looks fresh and cool with the diffused-out, 360-degree application. Even the false lashes go with it. However, just as important is how she styled everything else: straight and sleek hair, and the rest of her makeup all dewy and bare. Her big, beautiful brows tie it all together. What I&apos;d change: Nothing. What I like: Olivia&apos;s festive red lipstick and golden eyeshadow. The warm tones and shimmer make the classic lip colour more interesting; I also like the light touch on the eyes, with just fluffy lashes to define them. Notice her soft brows as well. As for her hair, she just chopped off 12 inches! This wavy lob really suits her. What I&apos;d change: Nothing. What I like: Penélope&apos;s healthy skin, faux freckles and eyeliner. 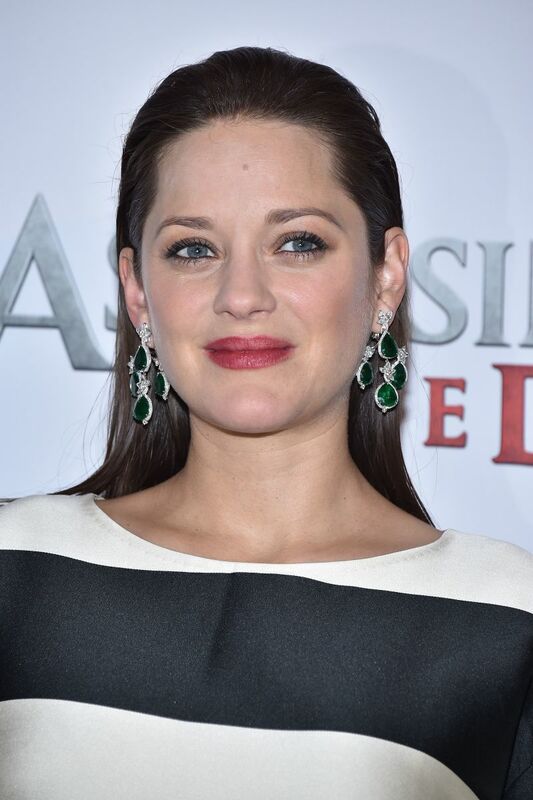 The freckle thing is one of her longtime red carpet tricks, to make the skin look more natural and tone down the makeup. Her almond-shaped eyes look stunning with heavy kohl liner, which defines even the tear ducts. On most people, adding a berry lipstick would be too much, but it looks super-glam here. I&apos;m not sure how I feel about the curled-under hairstyle. What I&apos;d change: I wish the false lashes were more natural, and her freckles and lip liner could be better blended. 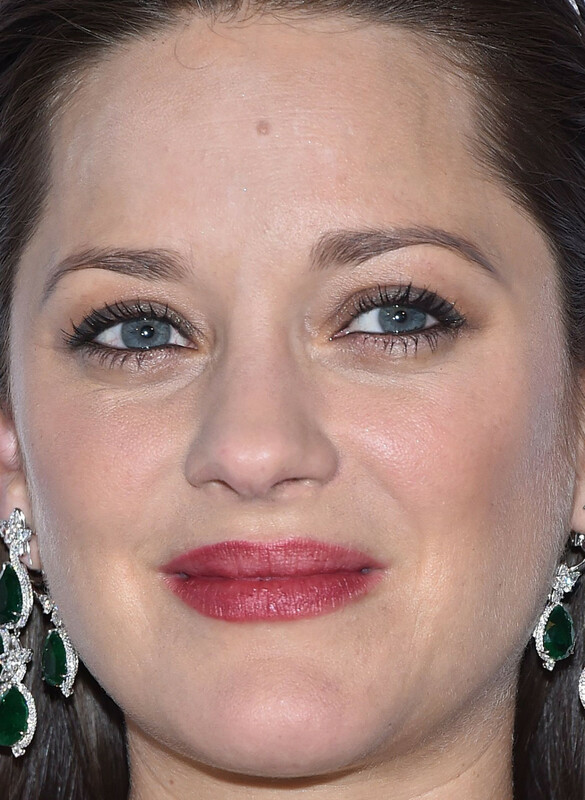 What I like: Marion&apos;s subtly defined eyes and stained lips. I love how she always keeps it real! No false lashes or contouring here, just a hint of charcoal shadow, black liner in the waterlines and matching rosy lips and cheeks. What I&apos;d change: I feel like her hair needs a part—like she had here. If you look very closely, you can see HD powder on her forehead. What I like: Katie&apos;s new bangs! They really soften her look and draw attention to her eyes. Speaking of which, I like her eye makeup, too—I don&apos;t even mind these false lashes. The pink lipstick is pretty. What I&apos;d change: Not sure if she&apos;s wearing hair extensions, but I&apos;d prefer a little more weight to the ends instead of having them all skinny and separated. 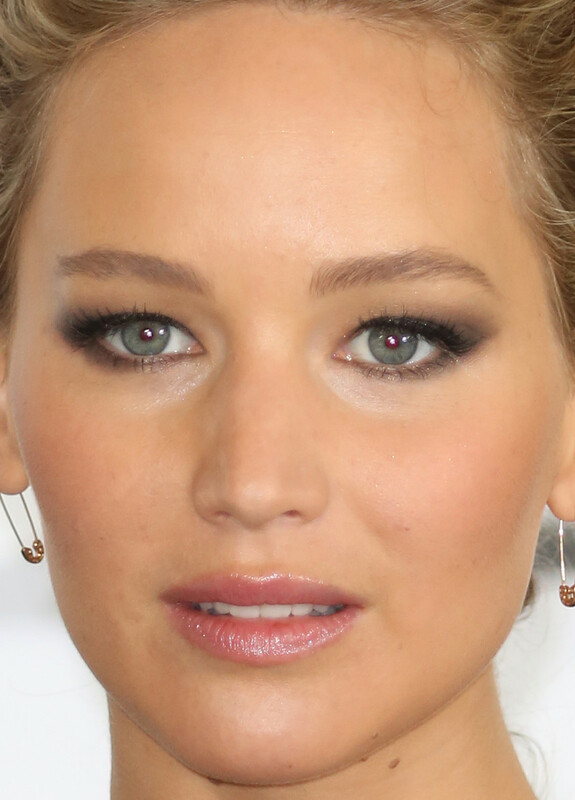 What I like: Jennifer&apos;s smoky shadow. I have to applaud her for always mixing it up with her eye makeup. A hooded shape is not easy to work with! I really like how the smokiness starts underneath the eyes and extends up on the diagonal. Her skin looks great, and the iridescent lip gloss adds a necessary touch of shine. What I&apos;d change: The waved updo (actually a braid at the back) isn&apos;t really my fave. Her Life Cut was the straight lob, as far as I&apos;m concerned. Linda Cardellini at the 2016 March of Dimes Celebration of Babies. Close-up of Linda Cardellini at the 2016 March of Dimes Celebration of Babies. What I like: Linda&apos;s soft waves and smoky eyes. Also—how refreshing is it to see such a genuine smile and Botox-free skin?! I think her eye makeup is just fantastic, and she has great brows. What I&apos;d change: The foundation is sitting a bit on top of her skin. What I like: Amy&apos;s extra-long, extra-bright strawberry blonde hair. I always love when her makeup takes a cue from that colour, as it does here with the peachy lip gloss and blush. As usual, she&apos;s wearing a shimmery liner around her eyes, and au naturel skin and lashes. What I&apos;d change: I like her strong brows, but I might tidy them a little bit and soften the pointy arches. Emma Stone at The Hollywood Reporter&apos;s 2016 Women in Entertainment Breakfast. Close-up of Emma Stone at The Hollywood Reporter&apos;s 2016 Women in Entertainment Breakfast. What I like: Emma&apos;s coral lipstick and matching sheer shadow. To ground the colour, she used black liner and lots of mascara. And if you look closely, there&apos;s some clever shading happening around the brows to create the illusion of more hair. Her retro-inspired waves go with the vibe of the dress. 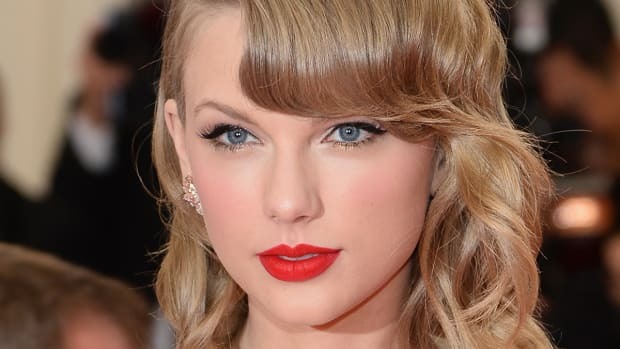 What I&apos;d change: The overlining on her Cupid&apos;s bow is too obvious. Her skin is perhaps a little dry, and the mascara is a tiny bit clumpy. Halston Sage at the 2016 Dior Lady Art pop-up boutique. Close-up of Halston Sage at the 2016 Dior Lady Art pop-up boutique. What I like: Halston&apos;s flawless skin and raspberry lipstick. All her features just look so naturally plump! I also like the wash of champagne shadow all the way up to her brows, and the soft lashes. Speaking of brows, hers look great without any obvious filling. What I&apos;d change: Nothing. What I like: Kate&apos;s vampy lips and grey liner. Who says people with thin lips can&apos;t wear dark colours? On her eyes, the grey isn&apos;t as harsh as a black would be, and it looks great with her natural lashes. She has lovely skin, and I&apos;m quite liking this bob cut. What I&apos;d change: Not sure if the blonde is for a role, but I think she looks best as a warm, reddish, light brunette. Jordana Brewster at the 2016 Looking Ahead Awards. 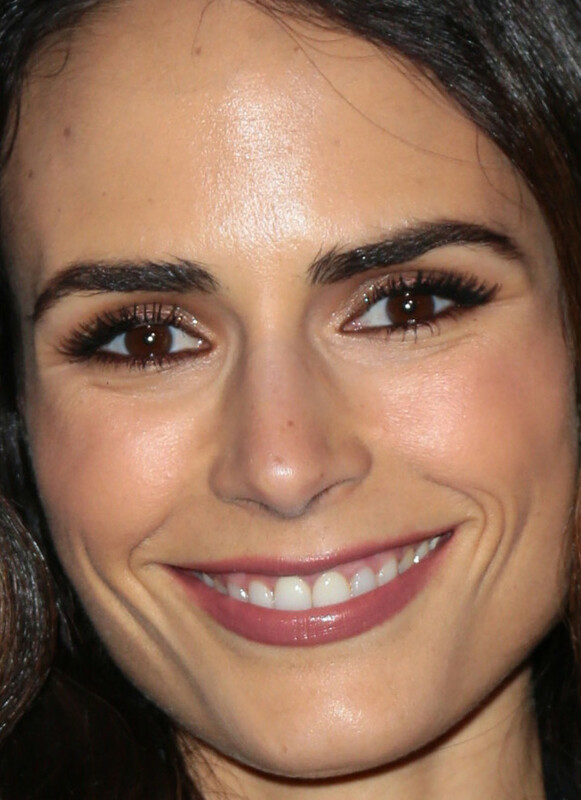 Close-up of Jordana Brewster at the 2016 Looking Ahead Awards. What I like: Jordana&apos;s mauvey lipstick with matching blush and eyeshadow (which also match her jacket!). This shade really flatters her olive skin tone, and I like how fresh her complexion looks. Her dark brows, along with soft dark brown liner, define her eyes. She has an amazing mane of wavy hair. What I&apos;d change: Ladies need to trim their nose hairs, too! Barbara Palvin at 102.7 KIIS FM&apos;s 2016 Jingle Ball. Close-up of Barbara Palvin at 102.7 KIIS FM&apos;s 2016 Jingle Ball. What I like: Barbara&apos;s matte, &apos;90s-inspired brownish lips. The other throwback (besides her choker) is the swooshed hair at the part. Her eyes are so bright and her skin is beyond gorgeous. What I&apos;d change: The lashes are too cray! Sabrina Carpenter at 102.7 KIIS FM&apos;s 2016 Jingle Ball. 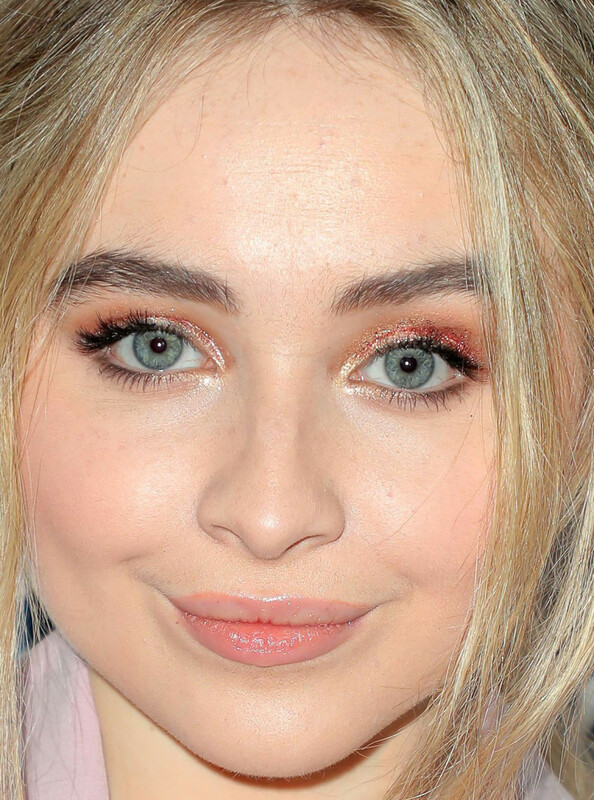 Close-up of Sabrina Carpenter at 102.7 KIIS FM&apos;s 2016 Jingle Ball. What I like: Sabrina&apos;s pink and gold glitter eyeshadow. She has such pretty eyes! I don&apos;t mind these false lashes, either. Her full, un-tweezed brows tone down the major makeup statement. 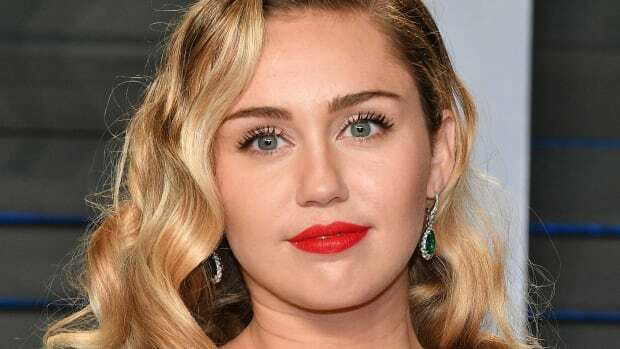 What I&apos;d change: Her hair just looks messy, and... is every female celeb under age 30 injecting her lips now?!? Who had your favourite beauty look lately? Thandie Newton, Lily James and more. Ana de Armas, Amy Adams and more. Penélope Cruz, Rachel Bilson and more. Margot Robbie, Emma Stone and more. Jamie Chung, Zoë Saldana and more. Emilia Clarke, Alycia Debnam-Carey and more.